With traditional dining areas becoming a thing in the past in many homes, open concept kitchens with their own dining space have become more popular. 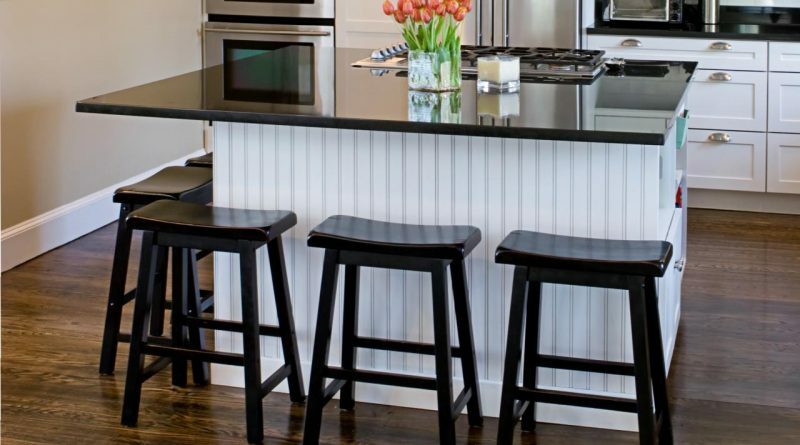 One feature that many homeowners have decided to add to their kitchens is a breakfast bar. Usually, this feature is an extension of a kitchen island, but there are other ways to create one, as well. Whatever type of breakfast bar you choose, there are some real advantages to having one. While the most commonly known type of breakfast bar involves a brand new kitchen island countertop, it’s far from being the only type. It’s totally possible to install some decorative shelving along the current seating area of the island. If doing so, it’s suggested to use contrasting colors and/or materials for this addition, as it isn’t always easy to match the existing countertop. Another possibility for a breakfast bar can be shelving installed on a kitchen wall. If space is at a premium, you can even get a fold-down shelf along with fold-away stools that can be tucked away when the bar is not in use. You can also get a portable cart unit that can serve a wide variety of purposes that can be put to the side when not in use. When it comes to additional cooking prep space, many kitchen designs include a two-tiered/split-level island to serve this purpose. That other level can also serve as a breakfast bar. 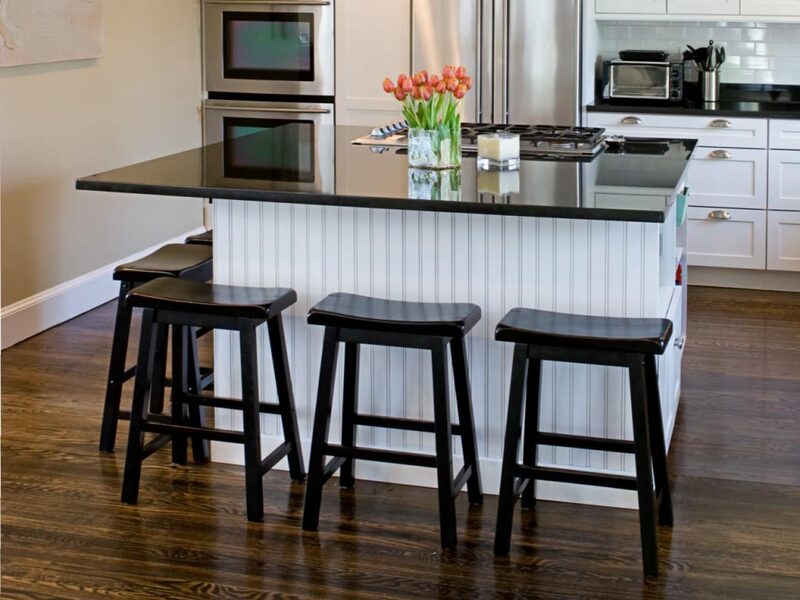 But no matter which type of solution you choose for your breakfast bar, you will gain additional counter space that can be used for a variety of purposes. Additional prep space is welcome in just about any kitchen. The last thing you want to happen is not having enough counter space and whatever type of breakfast bar you choose alleviates that problem. Entertaining space is a must for many kitchens. Some smaller kitchens only allow enough room for one or two people to fit in it comfortably. But for larger spaces that have seating areas, it’s important to have a space for people to snack or have a quick meal right in the kitchen. It’s a great spot to entertain house guests, too. Also, with the kitchen being the social hub of many homes, it makes sense to have a multi-purpose area. Sometimes, the breakfast bar can serve as a sort of mini-office space or homework area when necessary. Not only does the breakfast bar offer convenience to kitchen amenities, but like with using it as a space for entertaining guests, it’s a great way to keep the family together, too. The most obvious benefit to a breakfast bar is what this feature was meant for in the first place, an easy place to prepare and eat a quick but healthy breakfast. Having a dedicated space that serves as a comfortable spot to start the day helps make this possible. A kitchen that doesn’t have a dedicated spot for breakfast can often lead to those in the home rushing out the door with only a cup of coffee and getting a fast food breakfast item on the way to work. By having a dedicated breakfast area, everyone has an easy place to charge up and not feel like they’re being rushed and in someone’s way.